EzeClean is designed to quickly and easily remove calcareous deposits from your saltwater equipment leaving it looking like new. EzeClean can be used anywhere where lime deposits have formed, such as on aquarium equipment or in a domestic situation where hard tap water is present and causes problems. This powdered material mixes easily with water to produce an acid solution that will remove thick hardened on calcium deposits which solutions like vinegar would not touch. 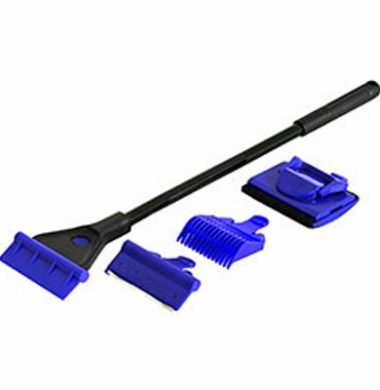 EzeClean removes even the most obstinate lime deposits simply and effectively. 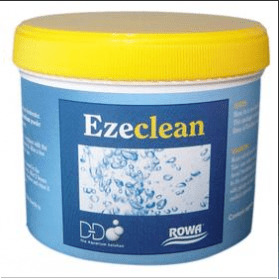 Use EzeClean for cleaning pumps, skimmers, pipework, UV sterilisers, calcium reactors, old aquariums and the white deposits off the body of Kalkwasser stirrers to bring the function and appearance back to new. 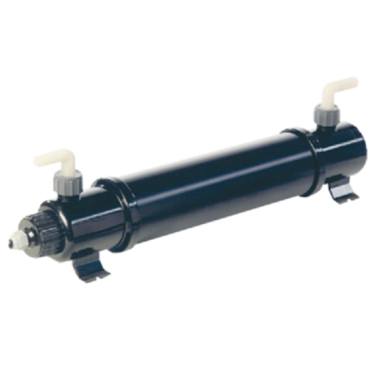 The D-D 10 Watt U.V Steriliser is a compact, yet efficient Type C U.V Steriliser designed for use in Marine Aquariums. The D-D 10 Watt U.V Steriliser is equivalent to a conventional 20W U.V. PLEASE NOTE: EXTREME CARE MUST BE TAKEN WHEN HANDLING THE QUARTZ SLEEVES, AS THEY ARE VERY FRAGILE. PLEASE CONTACT US TO CONFIRM AVAILABILITY ON THIS ITEM. 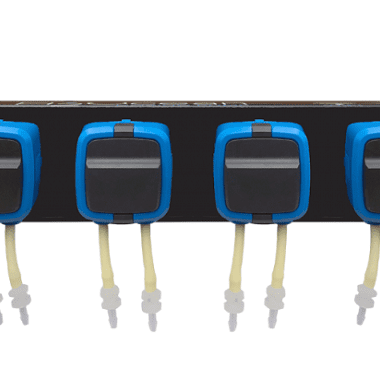 The D-D P4 4-Channel Dosing Pump is one of the latest, most compact 4-Channel dosing pumps available on the market. These smart pumps have been jointly developed between D-D and Kamoer, a company with a strong reputation for the manufacture of medical grade dosing equipment, ensuring a high quality product with excellent reliability. The P4 Dosing Pump will be controllable via D-D’s new App, allowing for ultimate controllability and monitoring of the supplementation of your Aquarium. 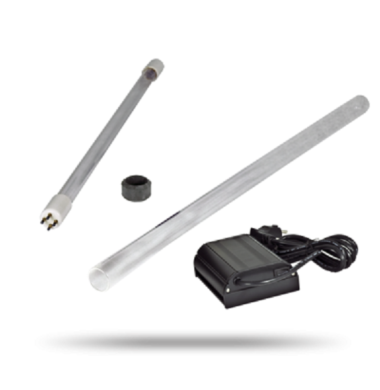 The new sleek D-D unibody mounting bracket for AI Hydra lighting ideally suited to a rimless tank of around 60cm front to back. The DD Coral Colour Lens Kit is designed to enhance and simplify your Aquarium photography when using your Smartphone or Tablet. 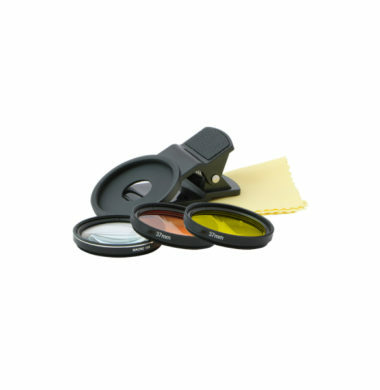 The DD Coral Colour Lens Kit comes with an assortment of colour filters and a Macro magnification lens to be used in conjunction with each other to create amazing photos of your Aquarium’s inhabitants. The D-D 80 Watt U.V Steriliser is a compact, yet efficient Type C U.V Steriliser designed for use in Marine Aquariums. The D-D 80 Watt U.V Steriliser is equivalent to a conventional 160 Watt U.V. PLEASE NOTE: THIS U.V MUST BE INSTALLED IN A VERTICAL ORIENTATION. FAILURE TO DO SO WILL RESULT IN AN INVALID WARRANTY UPON THE UNIT. The D-D 20 Watt U.V Steriliser is a compact, yet efficient Type C U.V Steriliser designed for use in Marine Aquariums. The D-D 20 Watt U.V Steriliser is equivalent to a conventional 40 Watt U.V. PLEASE CONTACT US TO CONFIRM AVAILABILTY ON THIS ITEM. The D-D 20 Watt U.V Steriliser is a compact, yet efficient Type C U.V Steriliser designed for use in Marine Aquariums. The D-D 20 Watt U.V Steriliser is equivalent to a conventional 40W U.V. PLEASE NOTE: EXTREME CARE MUST BE TAKEN WHEN HANDLING THE QUARTZ BULBS, AS THEY ARE VERY FRAGILE. 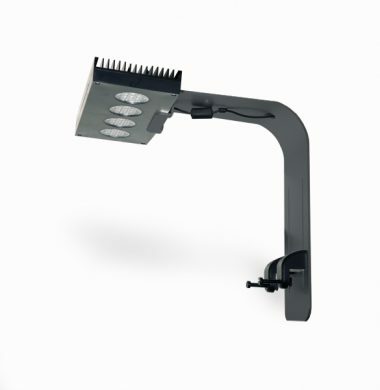 The new sleek D-D unibody mounting bracket for AI Hydra lighting ideally suited to a rimless tank of around 50cm front to back. 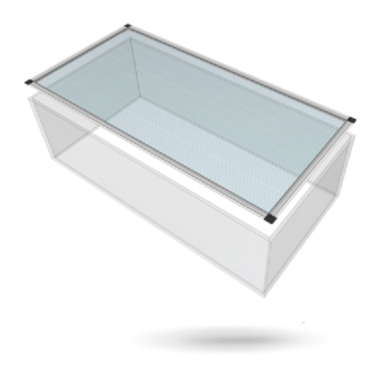 The 75cm x 75cm JumpGuard Pro DIY Tank Cover is the latest of three new sizes of DIY Tank Cover, created by DD The Aquarium Solution.